About 3.4 million GD Midea dehumidifiers sold under just about every brand name you can think of are being recalled because they can overheat and catch fire. Midea has received 38 reports of smoke and fire. About $4.8 million in property damage has been reported, but there have been no injuries reported thus far. LG Electronics will pay a maximum $1,825,000 civil penalty, settling charges by the Consumer Product Safety Commission (CPSC) staff charges that the firm knowingly failed to report to CPSC a defect and an unreasonable risk of serious injury with several models of dehumidifiers. 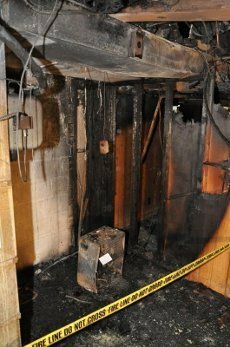 Fires caused by the defective dehumidifiers resulted in millions of dollars of property damage. Due to a defective fan, the dehumidifiers overheated, smoked, melted or caught fire, posing fire and burn hazards to consumers. Federal law required LG to report to CPSC immediately about a consumer product containing a defect that could create a substantial product hazard or presenting a risk of serious injury or death. Starting in 2003, LG received dozens of reports of the dehumidifiers catching fire and causing extensive property damage to consumers’ homes. By the time the dehumidifiers were recalled in 2012, LG was aware of 107 reports of incidents, with more than $7 million in property damage and three reports of smoke inhalation. LG manufactured and imported about 795,000 of the defective dehumidifiers under the Kenmore brand name. The dehumidifiers were recalled in 2012 and the recall was reannounced in July 2013. LG’s conduct occurred before August 2009, at a time when a maximum civil penalty was $1.825 million. In addition to paying a civil penalty, LG has agreed to maintain a compliance program designed to ensure compliance with the Consumer Product Safety Act. Additionally, the firm has agreed to maintain a related series of internal controls and procedures. The compliance program requires written standards, policies and procedures, including those designed to ensure that information that may relate to or impact CPSC compliance is conveyed effectively to personnel responsible for CPSC compliance. LG does not admit to CPSC staff’s charges. 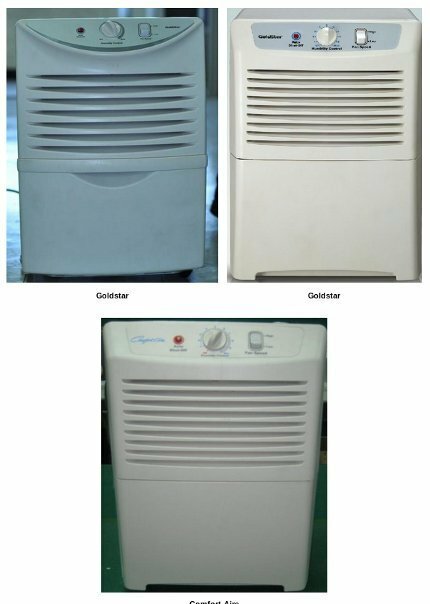 Gree Electric Appliances is recalling about About 2.2 million dehumidifiers in the U.S. and Canada, adding four models of SoleusAir dehumidifiers, and expanding several date code ranges to the recall issued in September 2013. The dehumidifiers can overheat, smoke and catch fire, posing fire and burn hazards to consumers. There have been 325 incidents, including 71 fires and $2.725 million in property damage. The brand name and the pint capacity are printed on the front of the dehumidifier. The model number and date code are printed on a sticker on the back, front or side of the unit. The dehumidifiers are white, beige, gray or black plastic and measure between 19 and 24 inches tall, 13 and 15 inches wide, and 9 and 11 inches deep. The dehumidifiers, manufactured in China, were sold at AAFES, HH Gregg, Home Depot, Kmart, Lowe's, Menards, Mills Fleet Farm, Sam's Club, Sears and other stores nationwide and in Canada, and online at Amazon.com and Ebay.com, from January 2005, through August 2013, for between $110 and $400. Consumers should immediately turn off and unplug the dehumidifiers and contact Gree to receive a full refund. Consumers may contact Gree toll-free at (866) 853-2802 from 8 a.m. to 8 p.m. ET Monday through Friday, and on Saturday from 9 a.m. to 3 p.m. ET. Sears, Roebuck and Co., and Kmart Corporation, of Hoffman Estates, Ill are reissuing a recall first published in August 2012 for about 795,000 Kenmore dehumidifiers. The dehumidifiers can overheat, smoke, melt and catch fire, posing fire and burn hazards to consumers. In addition to a low consumer response rate, Sears says there have been seven additional incident reports of shorting and fire associated with the dehumidifiers. Incidents involved a severe burn to a consumer’s foot, and three fires resulting in more than $300,000 of property damage. The dehumidifiers, manufactured in China, were sold exclusively at Sears and Kmart stores nationwide and Sears.com and Kmart.com from 2003 to 2009 for between $140 and $220. Consumers should immediately turn off and unplug the dehumidifiers and contact the Recall Fulfillment Center to receive a Sears gift card for either $75, $80, $90 or $100, which may be used at any Sears or Kmart store or at Sears.com or Kmart.com. The gift card amount will depend on the capacity and year of the dehumidifier. In lieu of a gift card, consumers may request a check for the refund amount. All consumers with recalled units will also receive a $25 coupon that may be used at Sears Department Stores or Sears.com toward the purchase of a new Kenmore dehumidifier. Consumers may contact the LG Recall Fulfillment Center, toll-free, at (855) 400-4641 between 8 a.m. and 7 p.m. CT Monday through Friday and between 8 a.m. and 2 p.m. CT Saturday. June 30, 2005 date body LG Electronics and Sears, Roebuck and Co. are recalling about 20,000 three-door refrigerators sold under the LG and Kenmore Elite Trio names. A faulty component in the condenser fan motor can short circuit. This could cause the condenser fan motor to overheat, posing a potential fire hazard to consumers. 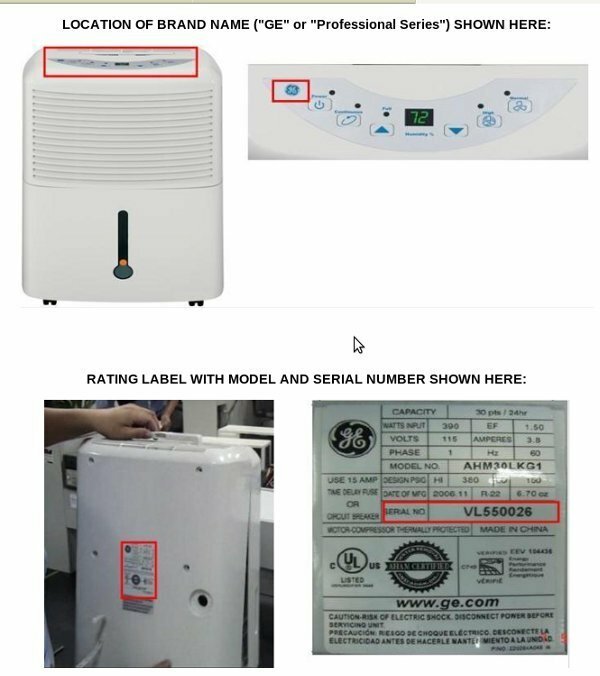 Gree Electric Appliances is expanding an earlier recall of dehumidifiers to include 352,700 in the U.S. and Canada with the GE brand name. The company previously recalled 2.2 million dehumidifiers under 12 other brand names. The dehumidifiers can overheat, smoke and catch fire, posing fire and burn hazards to consumers. The firm has received 16 reports of incidents with the recalled GE-brand dehumidifiers, including 11 reports of overheating with no property damage beyond the units, and 5 reports of fires beyond the units which were associated with about $430,000 reported in property damage. This is in addition to more than 71 fires and $2,725,000 in property damage reported with other brands of Gree-manufactured dehumidifiers in the previous recall. No injuries have been reported. This recall involves 30, 40, 50, 65-pint dehumidifiers with the GE brand name. The brand name, model number, pint capacity and manufacture date are printed on the nameplate sticker on the back of the dehumidifier. The dehumidifiers are light gray plastic and measure between 19 and 23 inches tall, 13 and 15 inches wide, and 9 and 11 inches deep. Recalled model numbers are listed below. The dehumidifiers, manufactured in China, were sold at Sam’s Club, Walmart and other stores nationwide and in Canada, and online at Amazon.com and Ebay.com, from April 2008, through December 2011, for between $180 and $270. Consumers should immediately turn off and unplug the dehumidifiers and contact Gree to receive a refund. GE Appliances & Lighting of Louisville, Ky., is recalling about 15,500 GE brand dehumidifiers. A component in the dehumidifier’s compressor can short circuit, posing a fire hazard. There4has been 1 report of a fire contained within the dehumidifier unit. No other property damage or injuries have been reported. This recall involves 30-pint portable GE brand dehumidifiers. The dehumidifiers are white plastic and measure about 19 inches tall, 13 inches wide and 9 inches deep with a front-loading water bucket. The dehumidifiers, manufactured in China, were sold exclusively at Walmart stores nationwide from March 2010, to December 2010, for about $170. Consumers should immediately stop using the recalled dehumidifiers, unplug them and contact Midea for instructions on returning their recalled dehumidifier for a free repair. 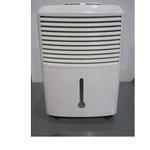 Consumers should not return the recalled dehumidifiers to the retailer where purchased. Consumers may contact Midea toll-free at (855) 861-2799 from 8 a.m. to 5 p.m. ET Monday through Friday. 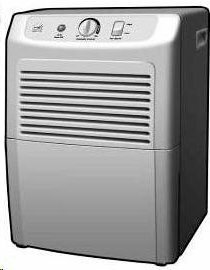 About 198,000 GE and Professional Series brand dehumidifiers are being recalled. A component in the dehumidifier's compressor can short circuit, posing a fire hazard to consumers. Midea and GE have received a total of 14 reports of incidents involving smoke and fumes emitting from the unit and eight reports of fires. In six of the reported fire incidents, property damage extended beyond the unit. No injuries have been reported. Walmart, Sam's Club, Home Depot, Menards and other retail stores sold the dehumidifers nationwide from February 2007 through June 2009 for between $140 and $180. They were made in China. Consumers should immediately stop using the recalled dehumidifiers and contact Midea to determine if their product is included in the recall. Consumers with recalled dehumidifiers will return their product to an authorized service center for a free repair. 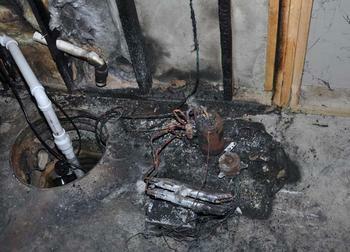 Consumers should not return the recalled dehumidifiers to the place of purchase. WASHINGTON, April 19, 2001 -- LG Electronics Inc., of Seoul, South Korea, is voluntarily recalling about 100,000 Goldstar, General Electric, and Sears Kenmore portable dehumidifiers. These dehumidifiers have an internal electrical connection that can overheat, presenting a potential fire hazard to consumers. LG Electronics has received seven reports of dehumidifiers overheating, including four reports of fire within the units, with smoke damage to surrounding objects. No injuries have been reported. The recalled dehumidifiers are white, with a red auto shut off button, and regulators for fan speed and humidity control. The dehumidifiers were manufactured between November 1998 and May 1999, and have the following brand names and model numbers: Goldstar DH2510, DH4010 and DH5010; General Electric AHG25LAG1, AHG40LAG1 and AHG50LAG1; and Sears Kenmore 580.59600890 (60-pint model only). The brand name is located to the left of the control unit. The model number is located behind the condensate bucket, on a sticker on the left hand side. 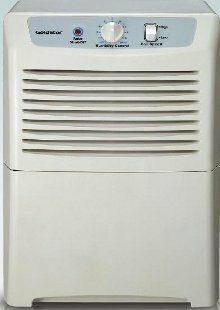 Mass merchandise and department stores nationwide sold the dehumidifiers from January 1999 through December 1999 for between $100 and $200. Consumers should stop using the dehumidifiers immediately and call LG Electronics toll-free (800) 651-1602 anytime for a free repair. Consumers also can log on the company's website at www.easyrecalldehumidifier.com. Fire damage at this home in Valparaiso, Ind., was blamed on a dehumidifier. LG Electronics is urging consumers to check if they have recalled Goldstar or Comfort-Aire dehumidifiers. The firm is re-announcing the recall of about 98,000 of the dangerous dehumidifiers that pose a serious fire and burn hazard, and are believed to be responsible for more than one million dollars in property damage. The power connector for the dehumidifier’s compressor can short circuit, posing fire and burn hazards to consumers and their property. $500,000 in damage to a home in Gibsonia, Pa.
$200,000 in damage to a home in New Brighton, Minn.
$183,000 in damage to a home in Hudson, Mass. $192,000 in damage to a home in Valparaiso, Ind. $129,000 in damage to a home in Brielle, N.J.
$ 95,000 in damage to a home in Philadelphia, Pa.
Because of the severity of the risks, CPSC and LG Electronics are concerned with the lack of consumer response to the recall. Only two percent of the 98,000 consumers who purchased these units have received a free repair, which means that consumers and their property remain at serious risk. Anyone who has the recalled dehumidifiers is strongly encouraged to immediately stop using them, unplug them, and contact LG Electronics for the free repair. 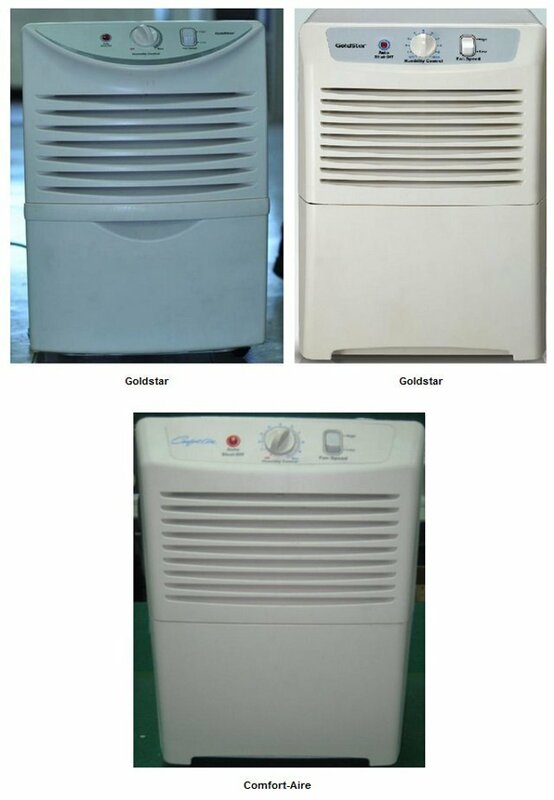 The recall involves the 30 pint portable dehumidifiers sold under the Goldstar and Comfort-Aire brands. The dehumidifiers are white with a red shut-off button, controls for fan speed and humidity control, and a front-loading water bucket. “Goldstar” or “Comfort-Aire” is printed on the front. Model and serial number ranges included in this recall are listed in the table below. The model and serial numbers are located on the interior of the dehumidifier, and can be seen when the water bucket is removed. Hardware, Do It Best and Orgill Inc. The recalled dehumidifiers were sold at The Home Depot, Walmart, Ace Hardware, Do It Best, Orgill Inc., and other retailers nationwide from January 2007 through June 2008 for between $140 and $150. They were manufactured in China. 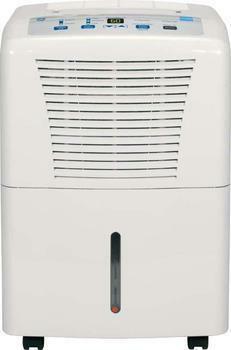 LG Electronics is recalling about 98,000 portable dehumidifiers. The power connector for the dehumidifiers compressor can short circuit, posing fire and burn hazards to consumers. LG has received 11 reports of property damage incidents involving arcing, heat, smoke, including four fires that spread to the building structure and involved significant smoke/water damage. No injuries have been reported. This recall involves 30-pint portable dehumidifiers sold under the brand names in the chart below. The dehumidifiers are white with a red shut-off button, controls for fan speed and humidity control and a front-loading water bucket. Goldstar or Comfort-Aire is printed on the front. The model and serial numbers are printed on the interior of the dehumidifiers and can be viewed after the water bucket is removed. The dehumidifiers were sold at The Home Depot, Walmart and Heat Controller Inc. nationwide from January 2007 through June 2008 for between $140 and $150. They were made in China. Consumers should immediately stop using the recalled dehumidifier, contact LG to determine if it is included in the recall and return it to an authorized LG service center for a free repair. 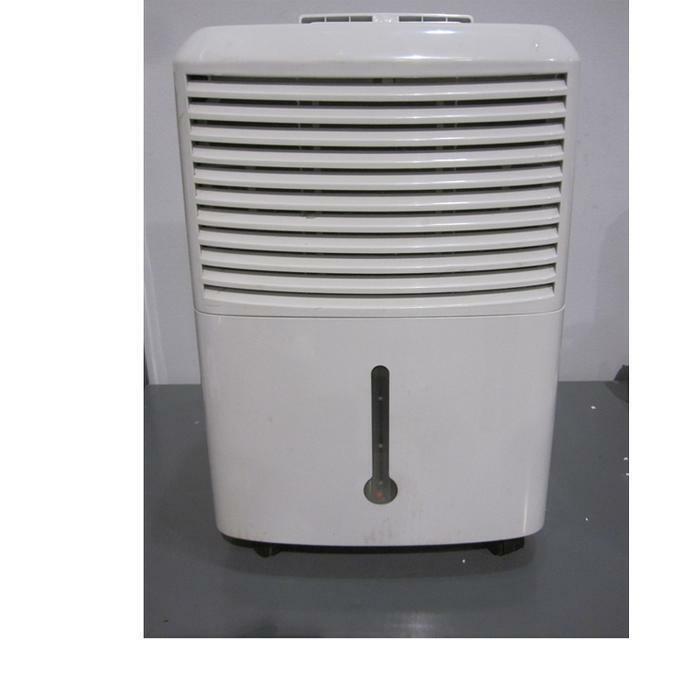 December 30, 2009 LG Electronics is recalling about 98,000 portable dehumidifiers. The power connector for the dehumidifiers compressor can short circuit, posing fire and burn hazards to consumers. LG Electronics is repeating an earlier recall of Goldstar and Comfort-Aire dehumidifiers. The power connector for the dehumidifier's compressor can short circuit, posing fire and burn hazards to consumers. The company said it has received reports of four additional fires, including one that caused significant damage to a home, since its previous recall in December 2009. This recall involves 30-pint portable dehumidifiers sold under the brand names in the chart below. The dehumidifiers are white with a red shut-off button, controls for fan speed and humidity control and a front-loading water bucket. "Goldstar" or "Comfort-Aire" is printed on the front. The model and serial numbers are printed on the interior of the dehumidifiers and can be viewed after the water bucket is removed. The appliances, made in China, were sold by The Home Depot, Walmart and Heat Controller Inc. nationwide from January 2007 through June 2008 for between $140 and $150. Sears, Roebuck and Co. and Kmart Corporation, of Hoffman Estates, IL, are recalling nearly 800,000 Kenmore dehumidifiers. The dehumidifiers, made BY LG Electronics, of Tianjin, China, can overheat, smoke, melt and catch on fire, posing fire and burn hazards to consumers. There have been 107 reports of incidents, with more than $7 million in property damage and three reports of smoke inhalation injuries. The products were sold exclusively at Sears and Kmart stores nationwide and Sears.com and Kmart.com from 2003 to 2009 for between $140 and $220. Consumers should turn off and unplug the dehumidifiers immediately and contact the firm to receive a Sears gift card for $75, $80, $90 or $100, which may be used at any Sears or Kmart store or at Sears.com or Kmart.com. The gift card amount will depend on the capacity and year of the dehumidifier. In lieu of a gift card, consumers may request a check for the refund amount. All consumers with recalled units will also receive a $25 coupon that may be used at Sears Department Stores or Sears.com toward the purchase of a new Kenmore dehumidifier. For additional information, contact the Recall Fulfillment Center toll-free at (855) 400-4641 between 8 a.m. and 7 p.m. CT Monday through Friday and between 8 a.m. and 2 p.m. CT Saturday, or go here.